Can (good) architecture change people’s lives? Of course it can. But how can we know? The aswer is asking the people that inhabit it. On The Architecture Player, we often dedicate our attention to post-occupancy reports in form of videos. 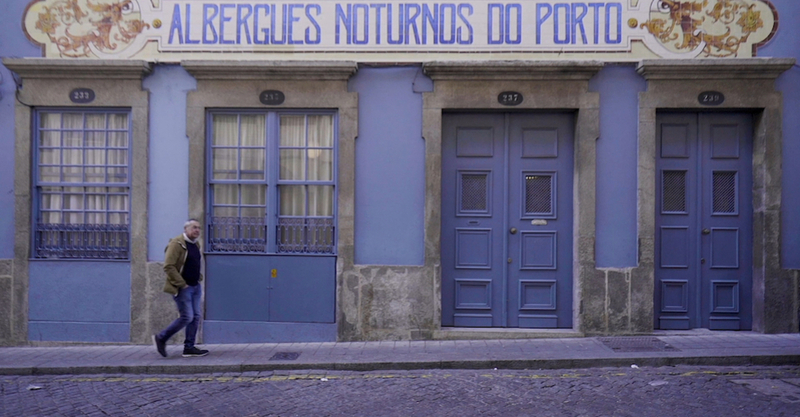 This comes from Oporto, Portugal and it was filmed by Building Pictures for Nuno Valentim, author of the renovation project for the "Homeless Shelter of Oporto" (Albergues Noturnos do Porto), finalist at the 2019 Simon Architecture Prize. We are guided inside this lilac painted structure by Laudolino Jesus, a former homeless and now an employee of “Associação dos Albergues Noturnos do Porto”. His understanding of the building and of its former conditions help us confronting with how much architecture can actually change people’s lives. "It was a very dull place. It did not offer many conditions", remembers Laudolino, recalling the fear of sleeping in the same room with 24 strangers at night, the broken windows and the lack of properly working sanitary facilities. Throughout the film, accompanied by the interview, we travel through space realizing that the modest rehabilitation of the building, makes a huge impact in the lives of hundreds of people who rely on this association. "The whole space… was completely transformed", he adds. Recent reports say that it would cost less to host every homeless people in shelter, than leaving them out in the streets - and that goes without saying that that would be a much more ethic decision. Europe seems to grow concerned with the increasing number of homeless people, an obvious consequence of blind politics in matter of migration, of economic crisis, scarcity of social housing and gentrification, but there is still not a plan in sight that will confront with this issue. In this gloomy situation, the "Homeless Shelter of Oporto" (Albergues Noturnos do Porto) is pretty much a breath of fresh air, that might help other cities and countries to rethink the architecture of shelters, in order to provide better constructed space to everyone.